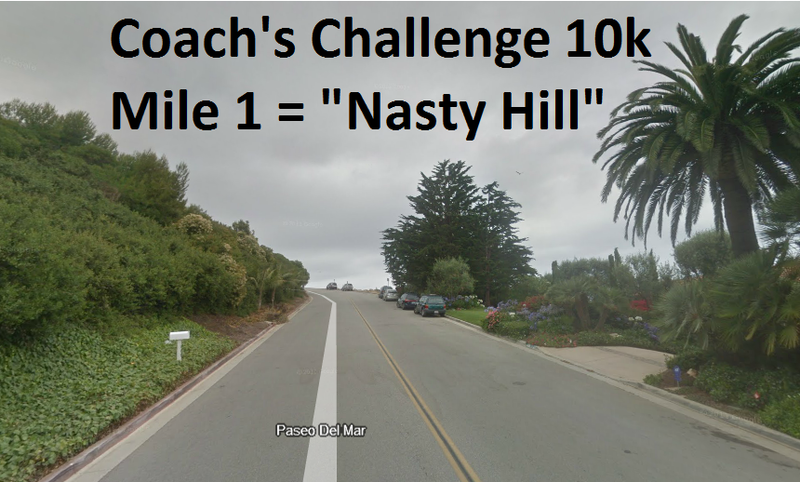 I’m trying to decide how best to describe the Coach’s Handicap course, in words that are printable and postable…a challenging 10K? a scenic run? A wake-up call for the weekend? Unlike other races, the handicap race gives a headstart to those expecting to need a little more time to cover the course. Faster runners are intentionally held back, start last, and try to catch as many runners as possible. If the handicap estimates are accurate and everyone runs according as predicted, there should theoretically be one massive tie of all participants at the finish line….but that rarely happens. Still, starting times varied by over 40 minutes…and the first finisher was only 8 minutes ahead of the last one. Afterwards, we enjoyed a potluck breakfast highlighted by lots of donuts, homemade entrees, and on-the-spot cooking by Mark Shalvarjian. Emily Anderson (and son Owen) were first across the finish line, winning both the baby jogger division and the race. They were followed, not quite two minutes later, by Sean Ryan, pushing son Casey in their baby jogger (so maybe the course favors baby joggers?). Shortly thereafter, the street began to fill with runners stumbling in, one after the other. In addition to overall race winners Anderson and Ryan, awards were presented for the finishing closest to predicted time (Diane Silva, within 1 second! Corrine Schratz, within 15 seconds; Chris DeWitt, within 11 seconds), getting lost or running off the course (Francis Calub, who attempted a right turn within 100m of the start though the course was straight ahead (a city sign was posted that said “Keep to the Right”, so he did! )), working hard (Karina Bird, who earned a bag of Jelly Bellies to get that sugar high), and making it look too easy (Jim Newman, who went home with a National Lampoon’s “Vacation” DVD). ..and we awarded Marcio a toy clock to learn how to more accurately read time (his prediction and estimation was way slower than his actual run). All in all, a fun time was had by all, we got in a good workout, and nobody got lost (not even Sharon!). Congratulations to all, and see you next year for the 2013 ed-ition!